MainAll NewsInside IsraelWill Switzerland also move embassy to Jerusalem? Will Switzerland also move embassy to Jerusalem? 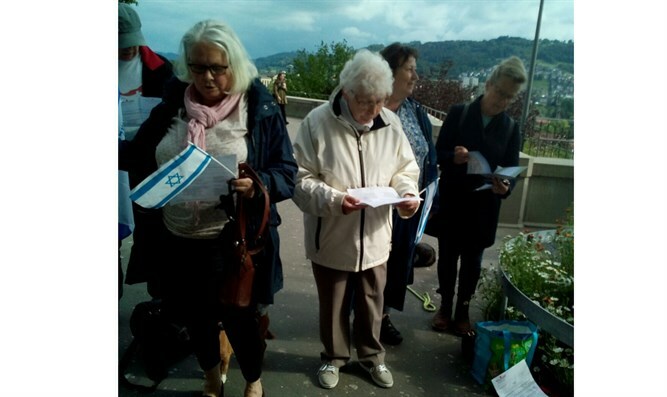 The Federal Democrat Union of Switzerland (UDF) party has brought a petition to the Swiss Foreign Ministry calling on them to move the embassy from Tel Aviv to Jerusalem. Over 20,000 people signed the petition including activists from the Lev HaOlam Organization, which fights against anti-Israel boycotts. The UDF is a conservative, nationalist party in Switzerland and was founded in 1975. Its members note that since the party’s founding it has acted to move the embassy from Tel Aviv to Jerusalem. The current Party President is Hans Moser. In the party’s guidelines it explains that it is driven by Biblical values and as a result it has taken conservative positions on issues involving family and education. 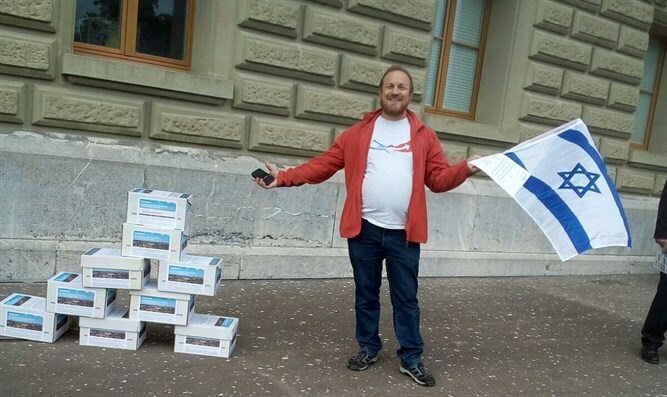 The organizers of the petition brought the signed petitions in boxes to the Swiss Foreign Ministry. They also brought packages with products such as olive oil, wine, chocolate, and other items from Judea and Samaria, which they received through the ‘Lev HaOlam’ Organization.